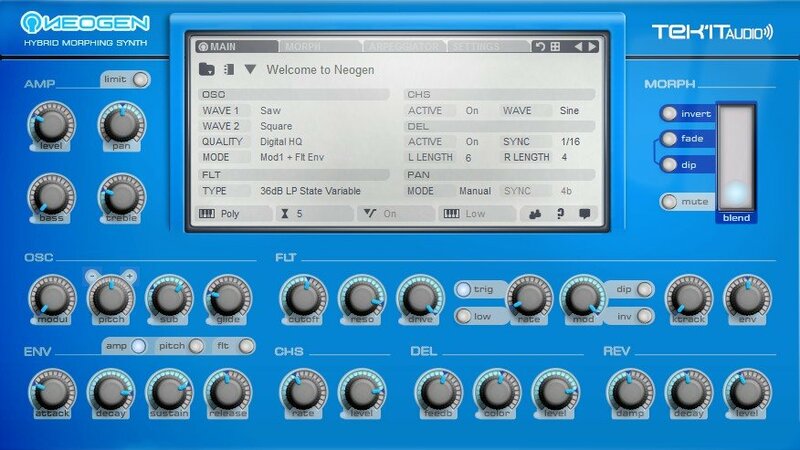 Neogen is a hybrid (phase distortion/subtractive) polyphonic synthesizer with sound morphing capabilities. 56 variation of waveform shapes. 5 oscillator quality modes, HQ, Digitized, Sampler Computer, 8bit, 8bit Glitch. 11 Filter types from low-pass with an analog tone to variants that sounds digital. Filter modulation with rate and depth control. Filter modulation rate can be sync on the beat. Triggering, Dip wave and Invert modulation controls. ADSR amp and filter envelope, AD pitch envelope with depth control. 2 voices chorus, sync delay, reverb and auto-pan effects. Bass and treble tone control. 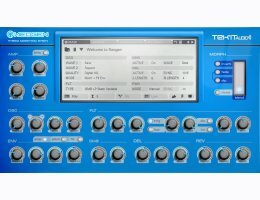 Sound morphing with depth control on any parameters. Visual feedback of the amount of morphing effect. Morphing fade with 2 envelopes modes. Save, Load pattern and patterns bank. Support MTS (MIDI Tuning Standard) file. Velocity amount control on 12 parameters. Selectable Maximum MIDI pitch bend range. Four note playback priority mode.